Love and Seek has a mobile website - link provided. 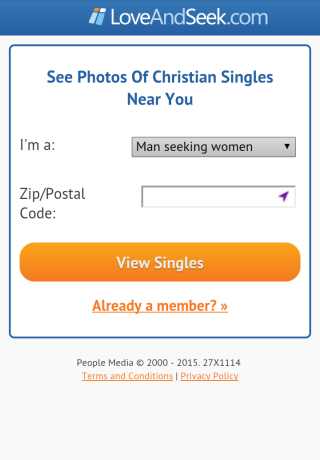 Love And Seek has a mobile website as shown in the screen to the right. Love And Seek doesn't have any Native Apps.